We would like to welcome you to our private villa rental set in more than 2 acres of lovingly tended tropical gardens in the foothills of Nevis. Built in the colonial style, with a large swimming pool and tennis court. 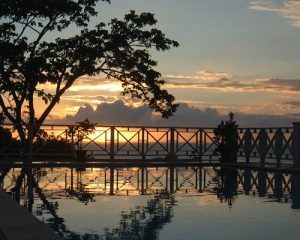 With stunning panoramic views across the Caribbean Sea, to the majesty of Nevis Peak, magical sunsets, and a fairyland of lights after dark. Always for exclusive occupancy, available as a vacation rental by small or larger groups up to nine guests in utmost privacy. 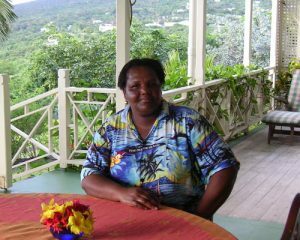 Every rental includes the services of our housekeeper Donna and gardener Bernard. 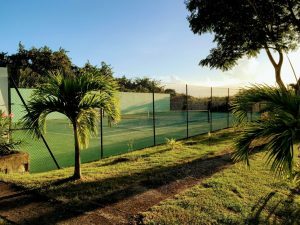 Enjoy private use of our tennis court, swimming pool and 2 acres of gardens.